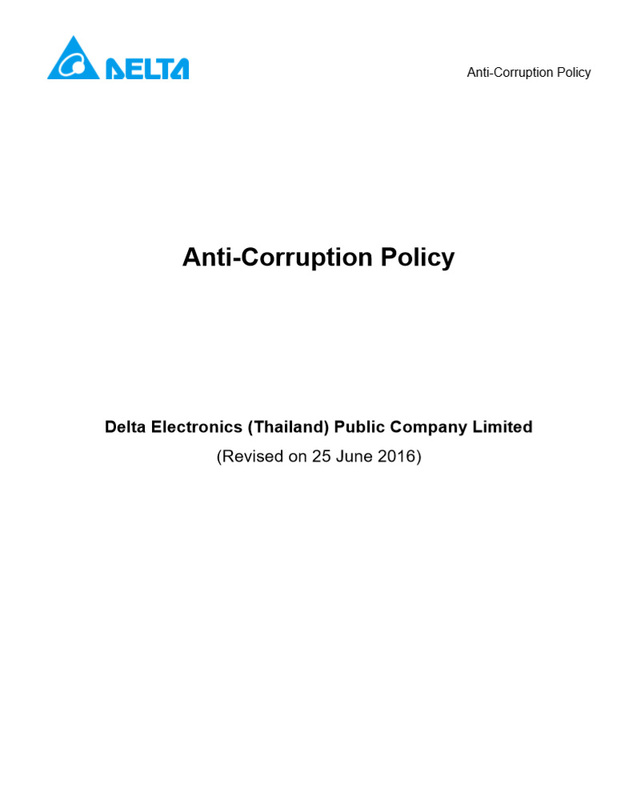 Anti-Corruption Policy | Delta Electronics (Thailand) PCL. With commitment towards conducting business with transparency and integrity, Delta Electronics (Thailand) Public Company Limited, regulates policy to prohibit directors, directors of sub-committees, management, personnel and the related business partners of the company to act or consent to corruption in any form, both directly and indirectly. This is to enhance the stakeholders’ confidence in Delta’s operation. This Anti-Corruption Policy is formulated to indicate a concise approach in performing the business in compliance with the company’s good corporate governance and code of conduct, regulations, procedure and related laws, in order to further develop organization with sustainability.